Leaving La Martre direction Trois Pistoles was the end of our stay at the peninsula. We chose the this smaller ferry as it brought us directly to Les Escouminis which is only about 15 minutes drive from our next place to stay. Next stop was Camping Bon Desir. We stayed here the year before and liked it so much, that we took our friends to that campsite. The same spot as last year, only a few more tents. It is a perfect base for whale watching in this area. The campsite is actually named after the cap Bon Desir you can see from it’s shore. The cap is part of the Canada Park with it’s observation and interpretation center. If you like walking and your kids are old enough you can hike to get there, if not take the car. At the cap there is a short hiking trail to the shore. 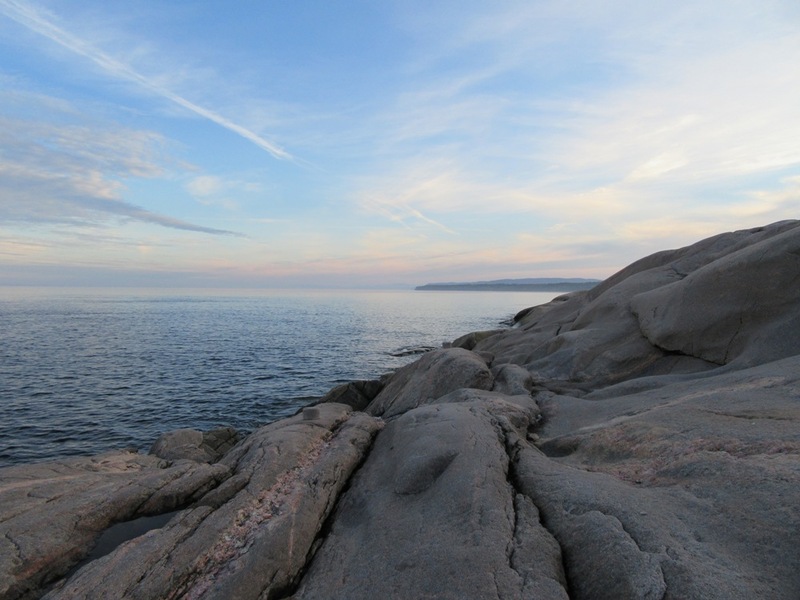 Once you reach the rocks you reached a perfect spot for whale watching from the shore. On the right they have a small exhibition and the staff is holding short presentations during the day. Also they hand out material for kids to learn about the whales in the region and there is always somebody around you can ask questions. Climbing a bit forwards (left) you will leave the crowds and find a quiet spot to observe the marine life. Being there twice we never got disappointed. We saw whales last year and this year. This summer we did not even have to be patient. 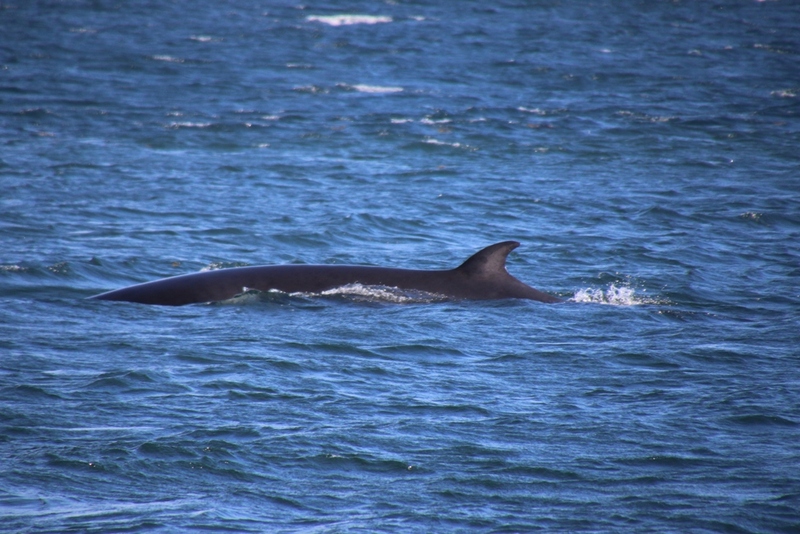 A few minke whales showed up very soon. A hint beside: if you go there after the official opening hours, you are almost alone and you will have a great sundown in a romantic atmosphere with a chance of whales passing by. 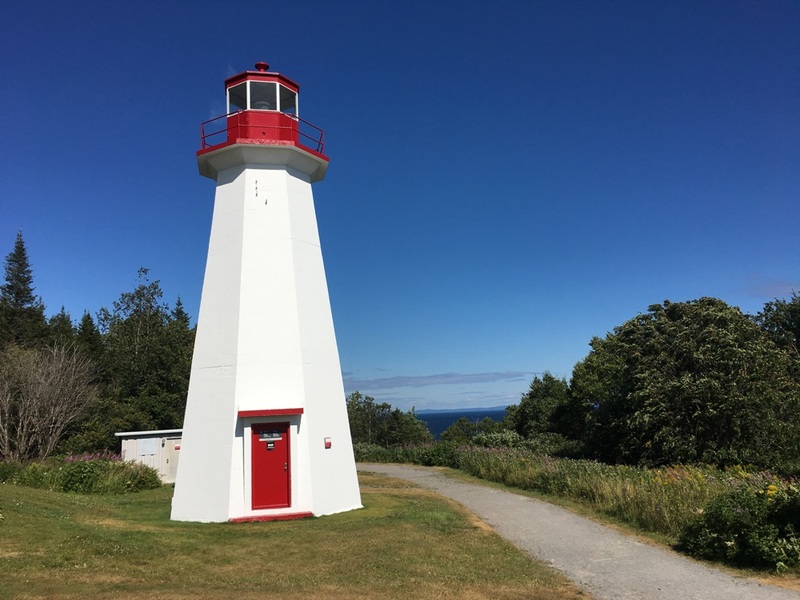 The cap is between Les Escouminis (first Nation village) and Tadoussac, so really easy to reach once you are in the region! 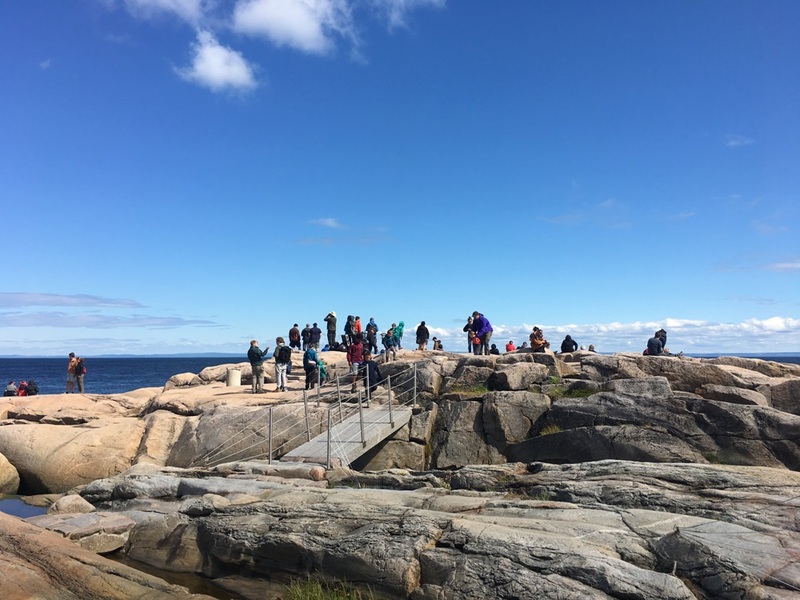 Watching whales is one of the most popular activities first time visitors who come to Quebec are looking for in summer. So did our friends. As we enjoyed it very much the year before, we were more than willing to do it again. 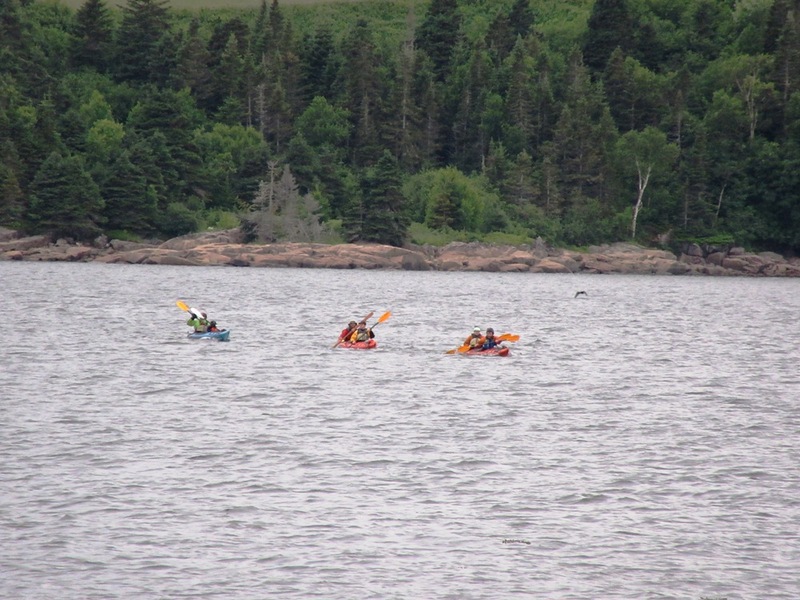 In and around Tadoussac, Les Bergeronnes and Les Escouminis they are many activities regarding whale watching available. 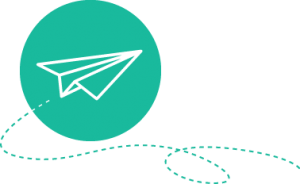 Different tour operators offer different kinds of transportation to get the experience. We did both times with Croisiéres AML located in Tadoussac. They have to boats which have different sizes. Last year we took the smaller one and really liked it. This year the lady suggested to go for the bigger as it has an observation deck for kids. Of course we thought, cool observation deck but hey there was none… Kids were allowed to use the closed stairways to have a better view! If you know ask your self if we saw whales? Yes we did. I was surprised that we saw plenty of them including dozens of seals. Short before the tour ended I had MY moment. 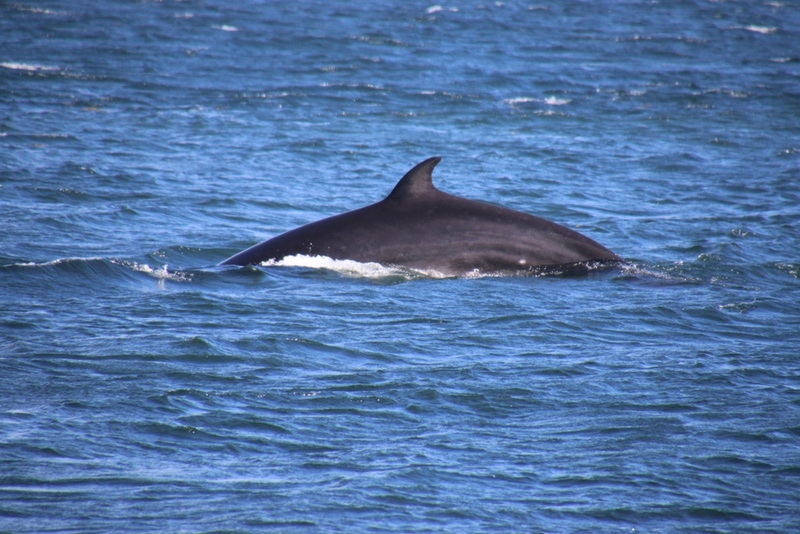 I stood in a corner of the boat alone and below the sun there was one minke whale. Coming up, showing itself in all it’s majesty and beauty. It first swam direction to the boat, than turned and disappeared. 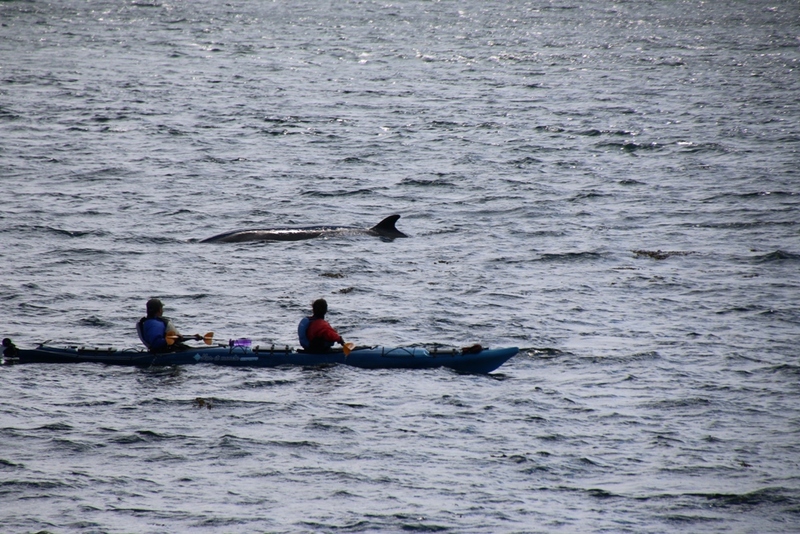 For me it seemed the minke was just there for me and I really enjoyed that spectacle. No camera, no photo just me and my moment. AML and others offer whale watching by zodiac. Zodiac is a special kind of an inflatable boat with real seats and a lot of speed. I have heard it is a lot of fun. There is no guaranty to see more whales, it is just more adventures and you are more flexible in changing directions. Both years it was denied to me. First one because of pregnancy, second one regarding to kids age. One day I will make it. The third option is doing a tour by kayak. This is the option my hubby and his friends chose. They booked a tour at mer et monde. They are located closed by the campsite we stayed. The tour is always guided! Just kayak rentals you won’t find, due to the fact of risks. The St. Lorenz is known for it’s drifts and if you don’t know them you get into big trouble. Both years he saw less whales than we did, but he had the activity and the more intense side of whale watching! We can recommend both ways to go. Other friends went by zodiac and had fun and some whales , too. Should you be the unlucky one, not to spot a whale on the trip zou still have Cap Bon Desir to go. What we learned from the guides and the biologists in the parks is that the St. Lorenz has an ideal environment. 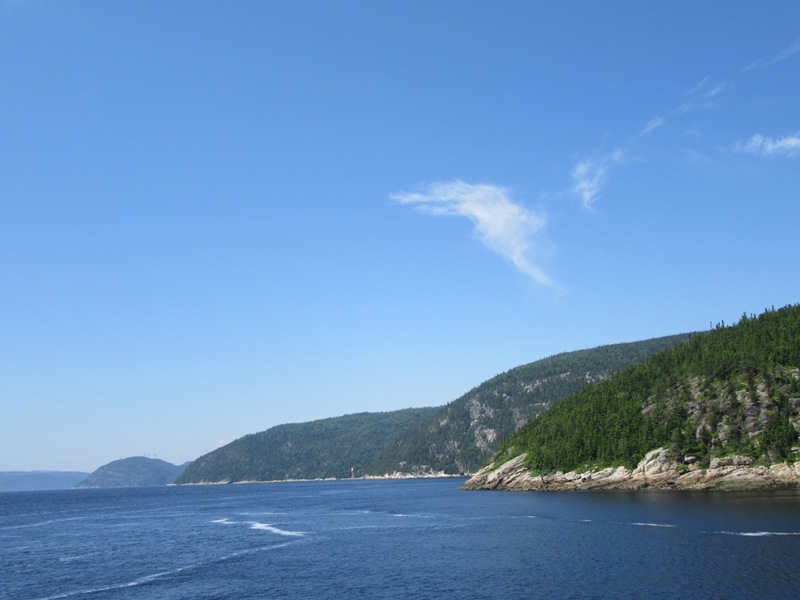 The area to spot whales starts at Baie Sainte Catherine (Tadoussac) and than all the way up North East. 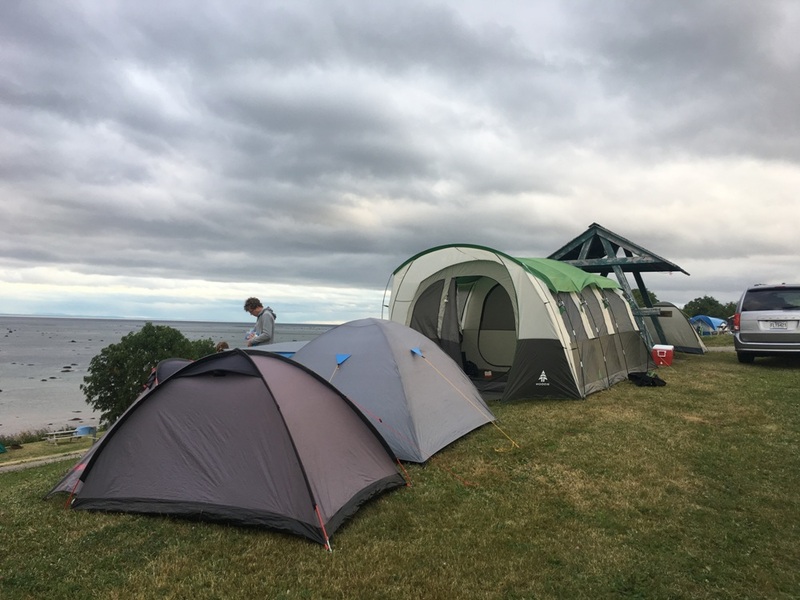 In summer the best spot is obviously the Tadoussac area. They come here to eat. It is said that about 13 different species live here. The most probably you will see minke whales, belugas and fin whales. If you are lucky enough: there are some blue whales around as well as humpback whales and some dolphines. All has do with water temperature, depth, drifts and the entire character of the riverbed. The sad fact we learned about, is that the population of the belugas is 10 times smaller then 15 years ago. Every now and then they will find a dead youngster at the south shore. Belugas raise there offspring in flat water, that’s why they go there. 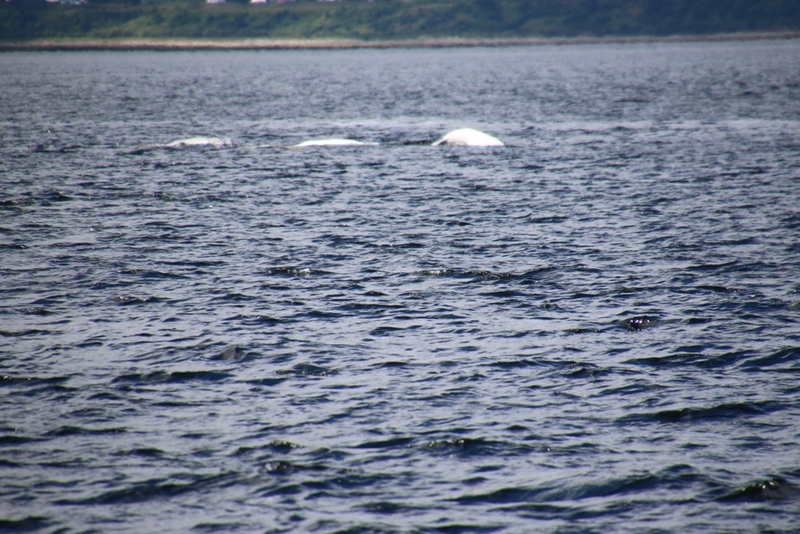 I did a little research and the short version is: due to the Aluminium industry (and others) and all the contaminated water which flowed into the river for decades, the belugas (like all the others) took it with the food. Why belugas are more effected by it they don’t know yet. Only that the intoxication a mum has, is given in a higher potentization with the mother’s milk to their offspring. Also the more frequent shipping in general could be effective. Really the short version, regarding the fact I am not a researcher. No matter which option you choose, come here and enjoy. If it is only one or two you see, it doesn’t matter. I guaranty you you will be impressed ! Here our four weeks trip finally ended. Part 6 will be a summary of the outtakes of the trip and my conclusion!